until I read about it in Samuel. The Israelites went against the Philistines in battle, but because some of the Israelites had fallen into wickedness and begun following false gods, the Lord was not with them. With only their own strength, the battle was sorely lost. Thirty thousand Israelites were slaughtered and the Philistines took their land and many cities as well as the ark of the covenant. In my life, I traveled a similar road as Samuel and his people, only I wasn’t going to war, I was building my family. Like Samuel, I came upon a difficult place, and lost, tragically. This time, as I’ve come upon the same place, I have the strength of the Lord, helping me through. What better name for lace, symbolic of such great blessings? I put my faith, my trust, my all, on that altar. This gift of the heart is a monument to remember His help in my life. 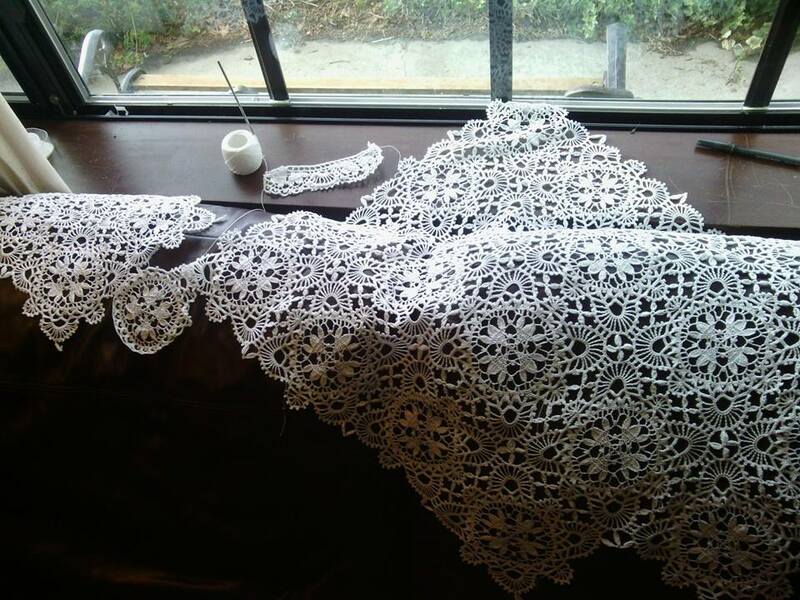 Ebenezer Lace- Half way there! I will remember the works of the Lord : surely I will remember thy wonders of old. I will meditate also of all thy work, and talk of thy doings.